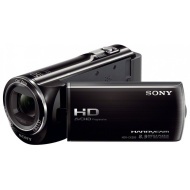 alaTest has collected and analyzed 253 reviews of Sony HDR-CX280E. The average rating for this product is 4.3/5, compared to an average rating of 4.1/5 for other Camcorders for all reviews. Views about the design and image quality are on the whole positive. The size and price are also mentioned favorably.